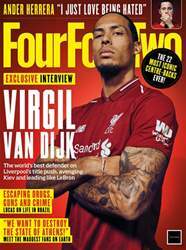 (9 Customer Reviews) | Write Review 12 issues per year FourFourTwo is the only magazine in the world that truly reflects the game of football in all its extremes. Spectacular, dramatic, hilarious, opinionated, authoritative, intelligent, quirky – if it’s in the game, it’s in FourFourTwo. 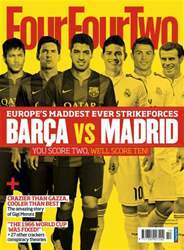 Now the leading football magazine in the world, FourFourTwo is published in numerous territories and languages. Its global reach is testament to the quality and credibility of its insightful, witty journalism and outstanding production values. Glamorous cover stars might sell the magazine, but it’s the rich variety of content that keeps readers coming back for more. Unparalleled access, great writers and brilliant photography take our readers so close to their heroes they can smell the cologne – but it’s FourFourTwo’s passion that sets it apart. We love football – and our readers love it too. Looking for FourFourTwo in print? Unfortunately pocketmags.com does not sell print copies of FourFourTwo, but all is not lost. Our partner at magazine.co.uk sells print subscriptions at the best prices online. 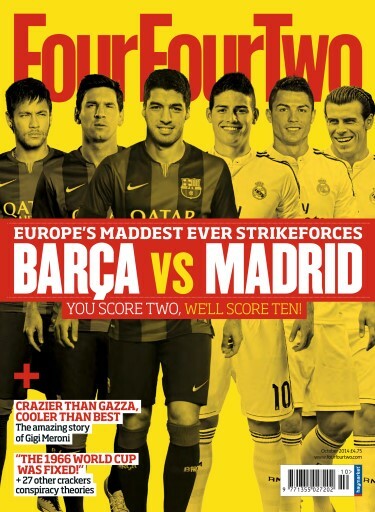 FourFourTwo is the only magazine in the world that truly reflects the game of football in all its extremes. You'll receive 12 issues during a 1 year FourFourTwo magazine subscription. Four Four Two is quite simply the number one magazine choice for football fans. It is jammed packed with interesting stories, tales from forgotten and unsung heroes and has more stats than you can handle! 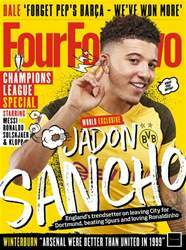 The great thing about Four Four Two is that it doesn’t just cater for fans of the big 4, it has something for every football fanatic, whether you follow Barcelona or Brentford, Manchester City or Aberystwyth. 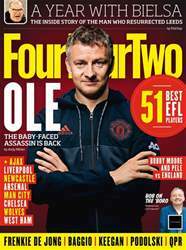 Four Four Two covers the stories that the 24 hour sports news channels miss and often puts the readers’ questions to the football players, managers and chairman, so there is no escaping those awkward questions. From jumpers for goalposts to the hallowed turf of Wembley, Four Four Two has it covered. You'll receive 12 issues during a 1 year FourFourTwo magazine print subscription.